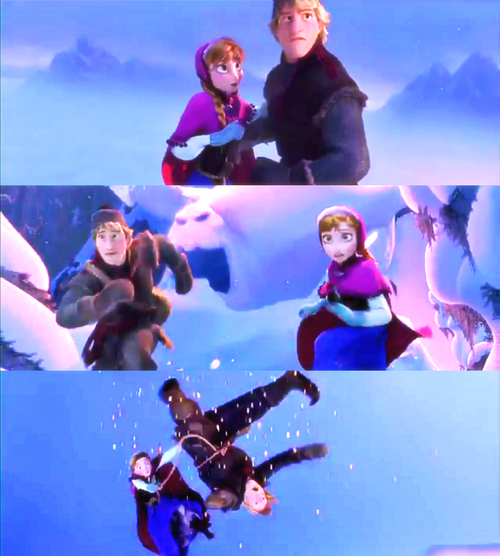 Anna & Kristoff. . Wallpaper and background images in the Princess Anna club tagged: anna frozen disney kristoff animated film. This Princess Anna photo might contain 다이빙 슈트, 다이빙 드레스, 잠수복, 다이빙 복, 썰매, 터보건, and tobogganing.